Nosy Crow's latest app in its "Flip-Flap" series is also its last. The publisher has closed down its app production. 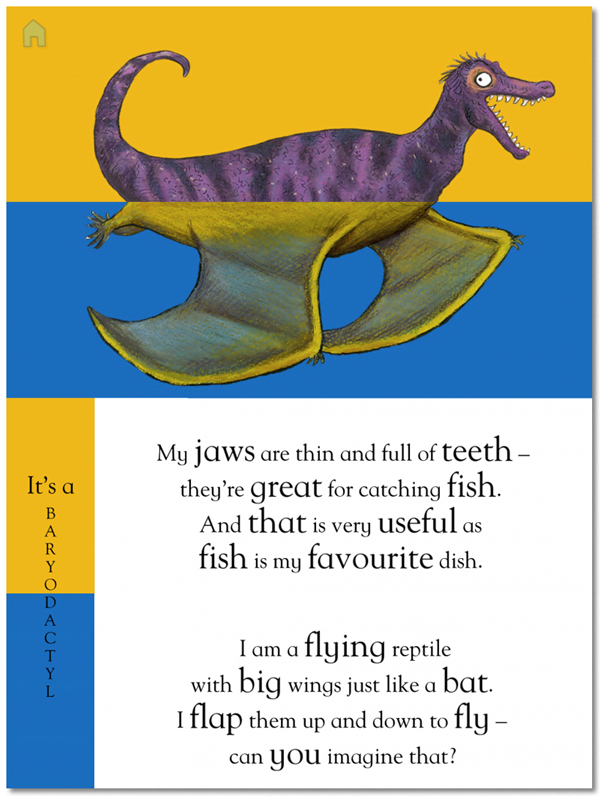 Elisabeth LeBris reviews Dinosaurs below. A clean graphic interface, featuring vibrant panels and colorful creatures makes this app ideal for young users. Preschoolers will have no trouble swiping and creating new dinosaurs. Users are likely to enjoy lining up the correct combinations as well. Daryl Grabarek dgrabarek@mediasourceinc.com is the editor of School Library Journal's monthly enewsletter, Curriculum Connections, and its online column Touch and Go. Before coming to SLJ, she held librarian positions in private, school, public, and college libraries. Her dream is to manage a collection on a remote island in the South Pacific.